Microsoft decided to begin the Windows 10 October 2018 Update rollout process for the public yesterday, skipping the release for the Release Preview ring. The company offers a number of new features with its latest incremental update to Windows 10. However, as many had suspected, it doesn’t come without issues. As for the workaround, Microsoft recommends selecting the back button when you see the “what needs your attention” notification to just go back to your current Windows 10 version. The Redmond software maker added that it is blocking devices from being offered Windows 10 version 1809 until updated drivers are installed on your current OS. According to Intel, the issue is with 6th Generation (codenamed Skylake) or newer processors, however, Microsoft hasn’t specified which devices are being blocked from receiving the latest update. As shared with our readers earlier, the broader Windows 10 1809 rollout will begin next week. Until then, users are highly recommended to avoid manually installing Windows 10 October 2018 Update on their machines. 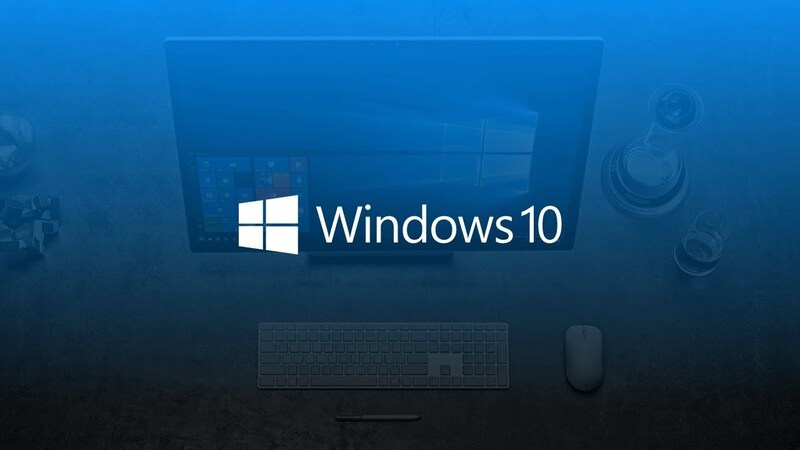 The company has asked users not to “attempt to manually update to Windows 10, version 1809, using the Update Now button or the Media Creation Tool from the Microsoft Software Download Center until newer Intel device drivers are available with the update.” Microsoft says it will make the update available to PCs when they are ready for it. 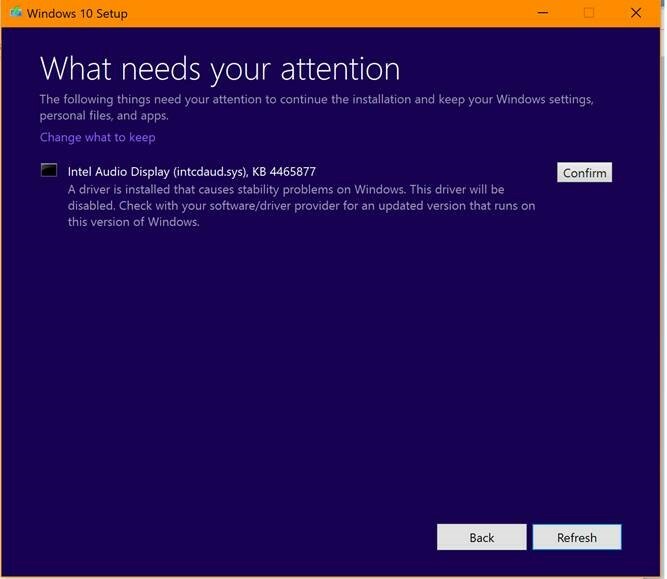 As for when those drivers will be available, Microsoft has suggested to either wait for them to be automatically installed through Windows Update or contact your computer manufacturer. Intel in its own advisory has recommended users with 6th Generation or newer processors to simply confirm that Intel Graphics Driver version 24.20.100.6286 or newer is installed on their computers before they install Windows 10 October 2018 Update. The chipmaker said that a fix is already included in Intel Display Audio Driver version 10.25.0.10, which is bundled with 24.20.100.6286. The company did add that users should check first with their computer manufacturer and use the driver software that they provide to avoid any issues. More information is available over at Intel. The first Windows 10 1809 compatibility issue is here. But, considering a fix is already available, if you don’t want to wait for the official notification from Microsoft to arrive, you can manually install the latest Windows 10 version on your devices. Again, it is recommended to wait for the official notification to avoid any post-installation headaches.